A trailer is now out for our newest champion, Neeko, the Curious Chameleon! Her champion page and biography are also up on the Universe! A new champion trailer is now out for Neeko, the Curious Chameleon! "Seeing double in the jungle? Either your eyes are playing tricks on you—or someone else is." Champion page and biography are also now up on the Universe! 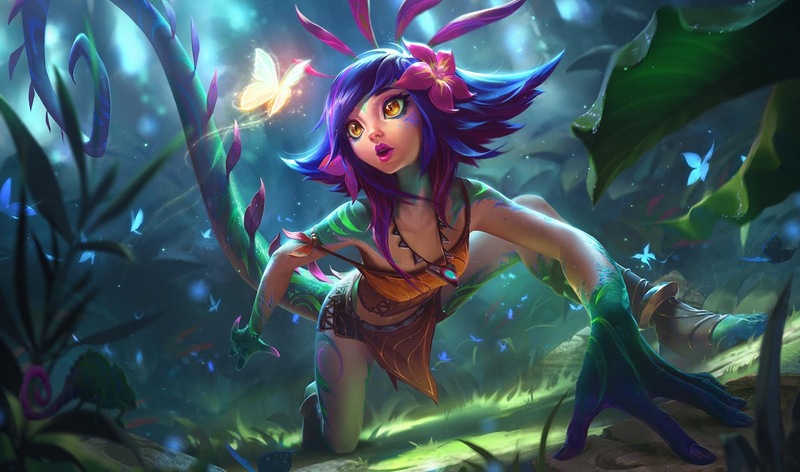 "Neeko was born on a remote and largely unknown island, far to the east, where the last members of an ancient vastayan tribe remained isolated from the rest of the world. They were called the Oovi-Kat, and could trace their lineage generation by generation back to the legendary Vastayashai’rei—the ancestors of all vastaya. To know Neeko is to love Neeko, and to love Neeko is to be Neeko." Look for more when Neeko hits the PBE in the 8.24 PBE cycle!